A Kissimmee teen struck and severely injured in a recent pedestrian accident is reportedly barely clinging to life after being struck by a car. Florida Highway Patrol (FHP) troopers report that the young man was trying to board a school bus when he was struck and injured by a car driven by an 86-year-old Orlando man. Troopers say that the driver passed the school bus while it was stopped, had its lights flashing and had its stop sign deployed. The 16-year-old victim is being treated at Arnold Palmer Hospital and is listed in critical condition. Troopers reported that the driver told them that he did not see the bus’ lights or sign when he passed it and struck the victim. "The car hit him in the hip area, and he just flipped and landed on his stomach," said one eyewitness, who was standing a few feet away from the victim when he was struck around 6 a.m. that morning. "I just heard a boom," said one of the victim’s friends, who also saw the accident. "I didn’t know how many people got hit; I just saw a body fly 10 feet in the air." FHP spokesperson Sgt. Kim Montes said, "The impact was pretty severe. The young man was thrown 60 feet, and for his friends and classmates to have to see this was probably horrific." Troopers say that the driver was not speeding at the time of the accident and will undergo a physical to see if any medical conditions contributed to the collision. They also said that the man was wearing required corrective lenses when the accident occurred. The FHP expects to file charges against the driver when their investigation is complete. Our area’s pedestrian accident problems are well documented, and safety officials continue to work with law enforcement agencies and municipalities to reduce the number of people injured and killed in these accidents. Pedestrian accident survivors often face a lengthy, painful and incredibly expensive road to recovery. Many victims require weeks and months of physical rehabilitation and other types of therapy to regain their independence and quality of life. If you or a member of your family has been injured in a pedestrian accident and you would like to speak with an experienced Orlando personal injury lawyer, call James O. Cunningham today at 800-425-2004. 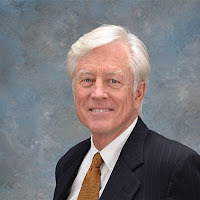 Mr. Cunningham has been helping injured people since 1977 and works tirelessly to help clients receive the fair and just compensation they deserve. If you have questions about your rights and legal options and would like to speak with an Orlando pedestrian accident attorney, call Mr. Cunningham today to schedule a consultation at one of his many law offices throughout Central Florida.